Effective NOW, the Children’s Clinic will offer Walk-in clinic hours Monday-Friday, 8:00 AM – 6:00 PM and Saturday, 9:00 AM-2:00PM. We are proud to offer a Walk-in clinic as an extra level of service and convenience because we know it is especially helpful for families with busy schedules. 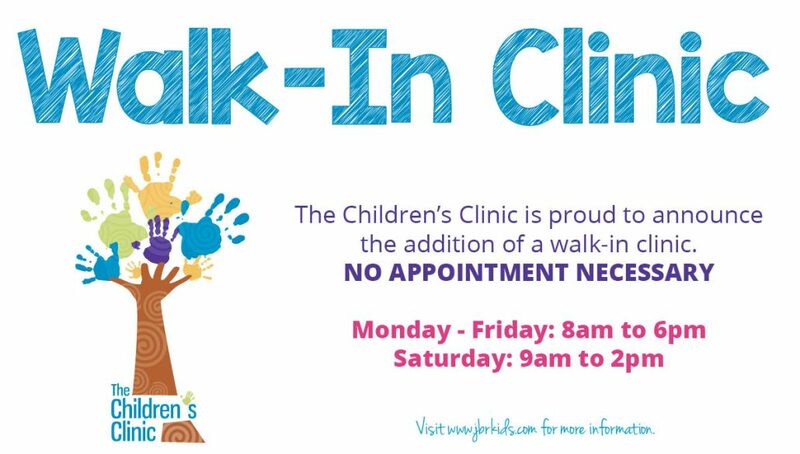 For common straightforward health issues, just bring your child to our walk-in clinic and you won’t have to worry about making and keeping an appointment later in the day or the following day. The Children’s Clinic’s vaccine policy remains unchanged. As pediatricians, we strive to maximize health and minimize illness. We do take advantage of opportunities both big and small, as they present themselves and educate families about the importance of vaccines. Immunizing is vital to protecting us all, but especially the most vulnerable among us. Our clinic doors will be locked at 6:00pm on Monday – Friday and 2:00pm on Saturday. How does the Walk-in clinic work? No appointment is necessary. If you choose to walk-in, you will NOT be able to select the provider you want to see. You will be placed in the first available exam room. If you have a concern and would like to see your primary provider, please call our office to schedule that appointment. 1. If there is an available appointment with a different provider, we will let you know and you can make the decision on whether to see them or not. 2. Or, you can make an appointment for a different date with the provider of your choice. What types of issues can be seen in the walk-in clinic? 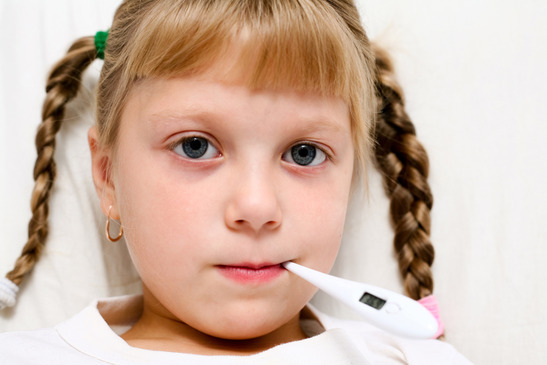 Walk-in visits are for ACUTE issues such as: ear infections, rashes, sore throats, eye problems, bug bites, bumps and scrapes, urinary tract issues, upper respiratory issues, cough, fever and minor trauma. However, the walk-in clinic is NOT for chronic or wellness issues such as medication refills, well visits, sports physicals, immunizations, ADD/ADHD, Asthma, headaches, back pain, etc. Does the walk-in clinic have a long wait? Our walk-in clinic wait time does vary throughout the day, week, and season. It is one of our top priorities to not leave patients waiting any longer than necessary. Based on experience, we know there will be “rushes” throughout the day. Those are typically, 8:00 AM– 9:00 AM and 4:30 PM-6:00 PM. Do I sign in at a different place for walk-in clinic? No, you will sign in at our receptionist desk on the 4th floor. What makes our walk-in clinic different than others? We have 7 Board Certified Pediatricians and 3 Advanced Practice Nurses who will rotate through our walk-in clinic. Our walk-in clinic is a great service we are providing for our established patients. If you have previously been dismissed from our practice, you will not be able to utilize our walk-in clinic. If your child does not have a pediatrician, please call our office at 870-935-6012 to inquire about establishing with our practice. Bring your health insurance card to every visit at our walk-in clinic. And, be prepared with your current address, email address, phone number, emergency contact number and child’s Social Security Number.